Challengers - KENTUCKY WOMANS MISSIONARY UNION, INC.
​Challengers is a missions organization for teen boys ages 12–17 or in grades 7–12. 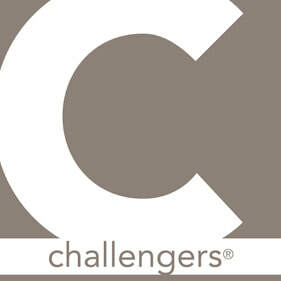 Challengers learn to look beyond themselves and become actively involved in missions and ministry. Contact Jon Auten at Kentucky WMU for more information about missions for teen boys or to learn more about starting Challengers in your church! Kentucky Baptist Challengers are on Facebook. Students do not need to be a member of Challengers, Youth on Mission, or Acteens to participate in these events. Bring your friends! Challengers also have the opportunity to attend RAMCON in the Spring and Camp Courage in the fall. An opportunity for Challengers Leaders to learn and/or practice camping skills in order to more effeciently teach these skills to their Challengers groups. As young men plan and participate in missions activities like praying, giving, Bible study, ministry, and witnessing, they become Challengers. Challengers Leader provides 12 months of easy-to-use, dated weekly lesson plans to lead the Challengers organization for young men. The plan book includes missions Bible studies, learning activities, missions activities, cultural activities, and missionary ministries.